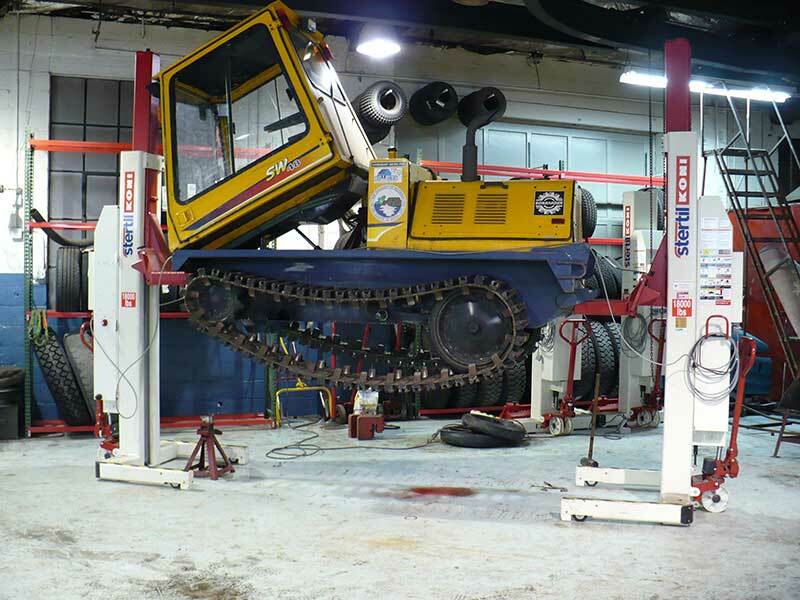 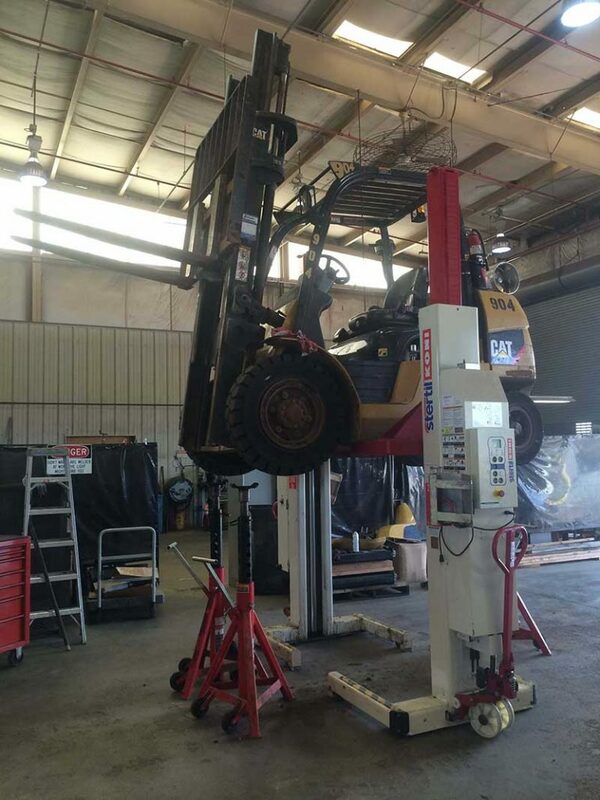 It’s in heavy duty lifts that Hoffman Services really excels. 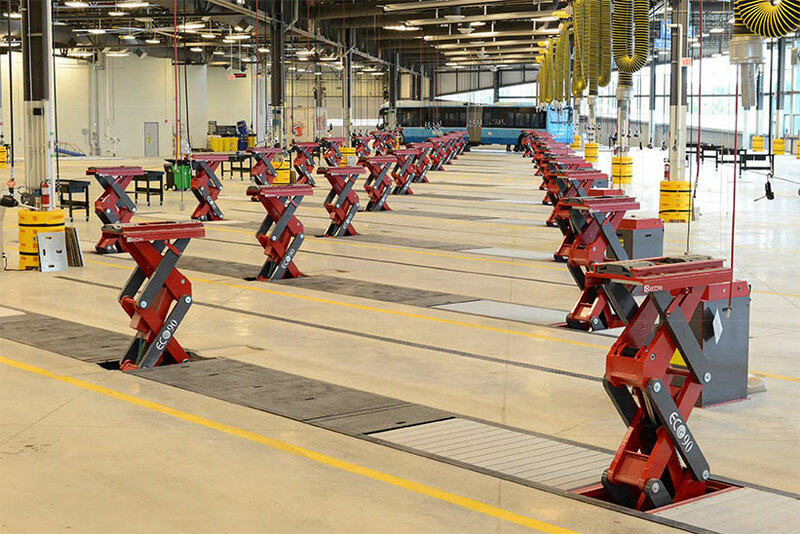 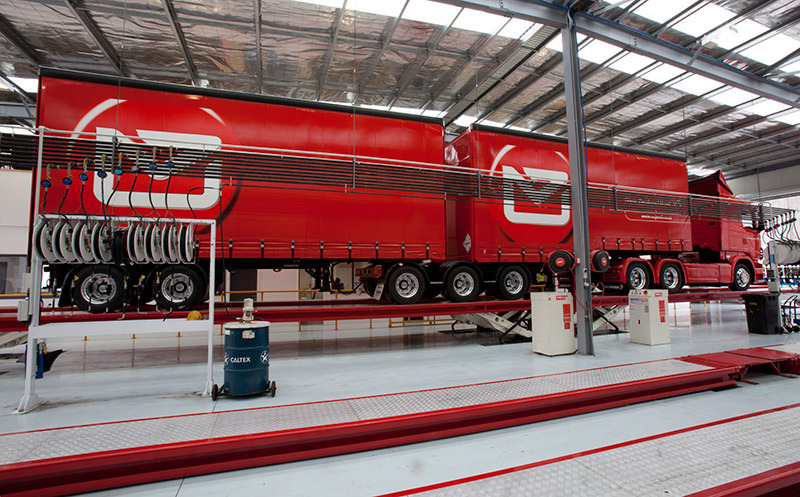 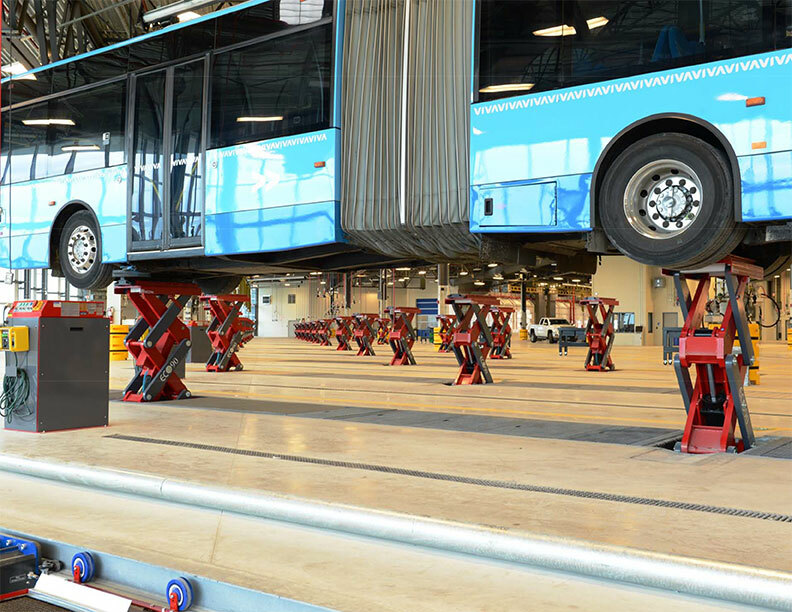 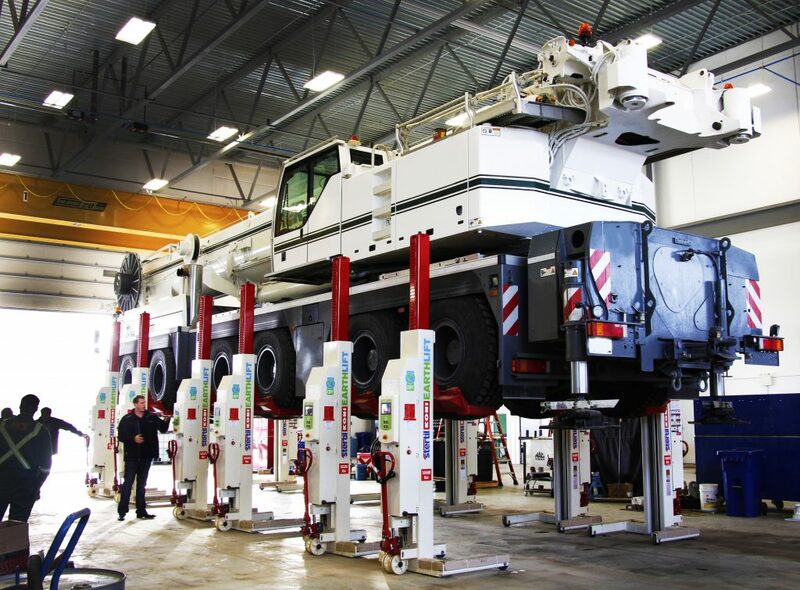 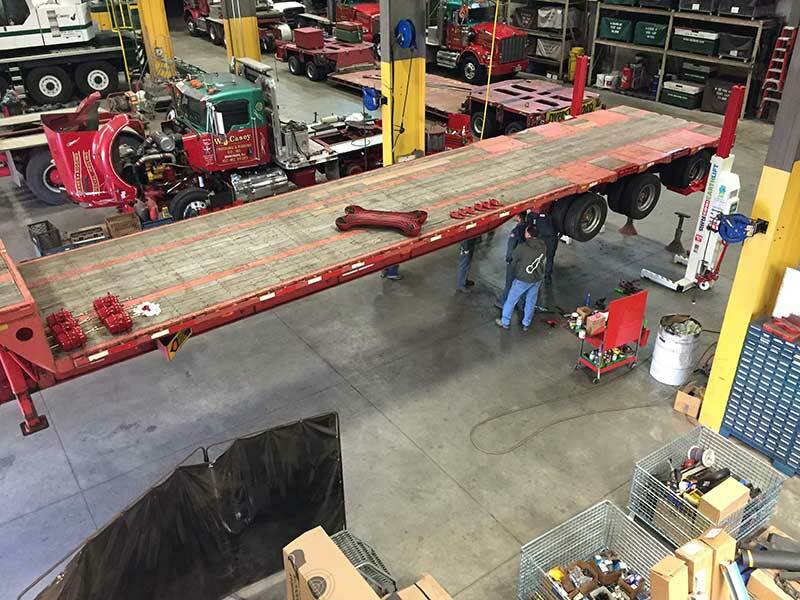 We are absolute specialists in heavy truck lifts, bus and vehicle lifts, 4 post lifts, and drive on lifts and have key connections and contacts in the industry. 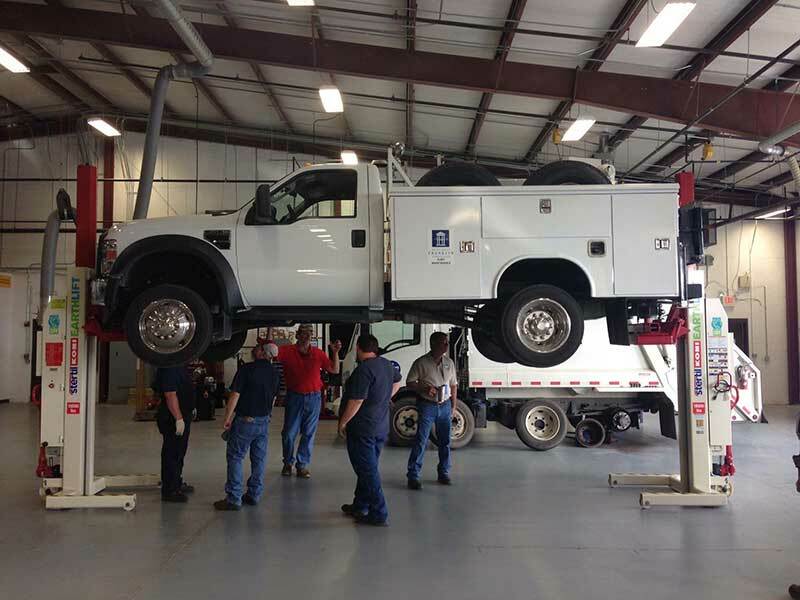 Each member of our team has 20+ years of experience – when this knowledge is combined, all bases are covered. 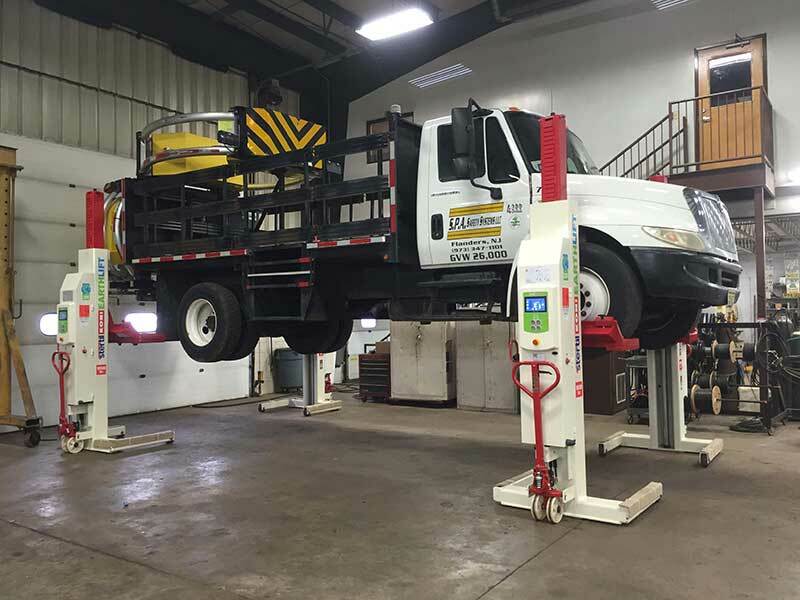 Our factory-trained heavy duty lift technicians can install all types of lifts – at the weight capacity and size you need. 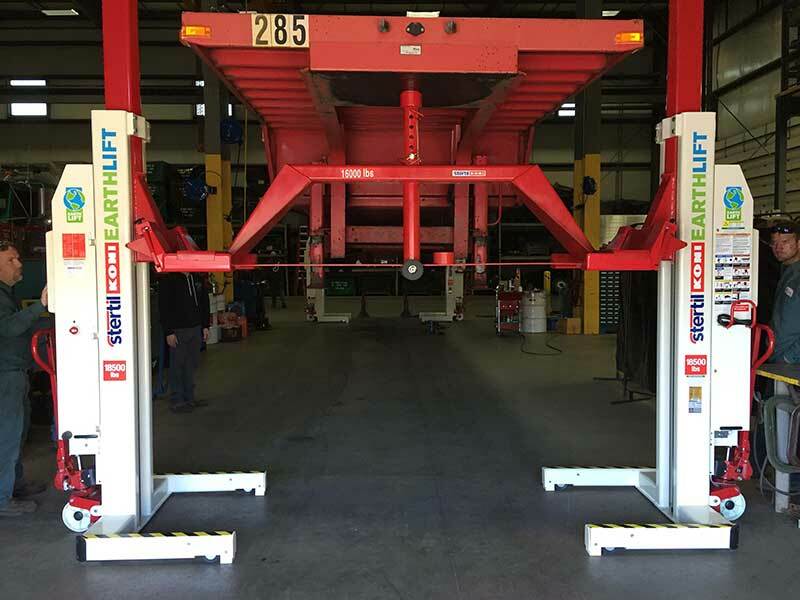 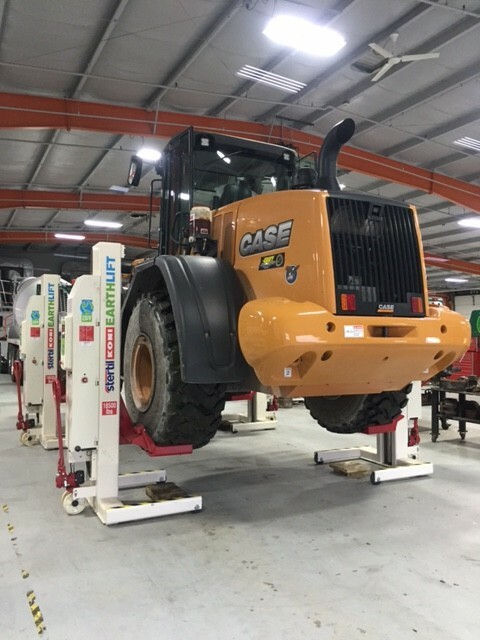 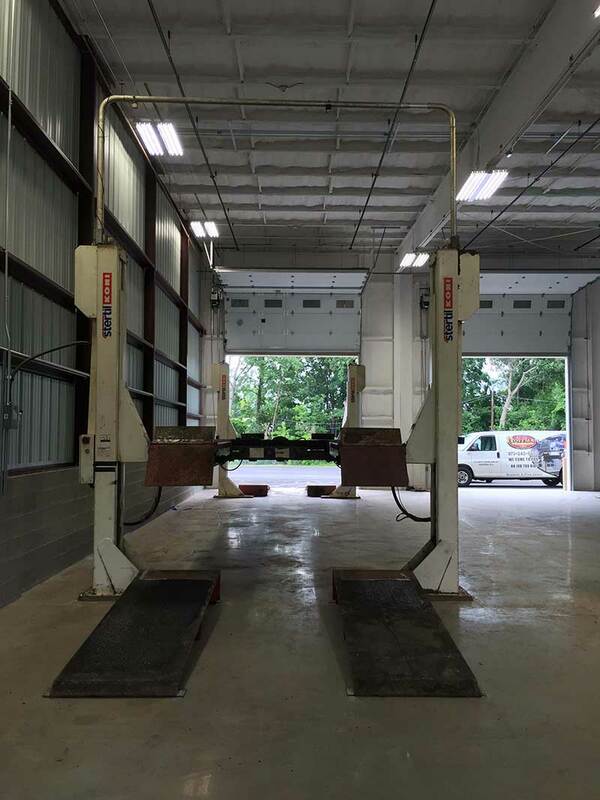 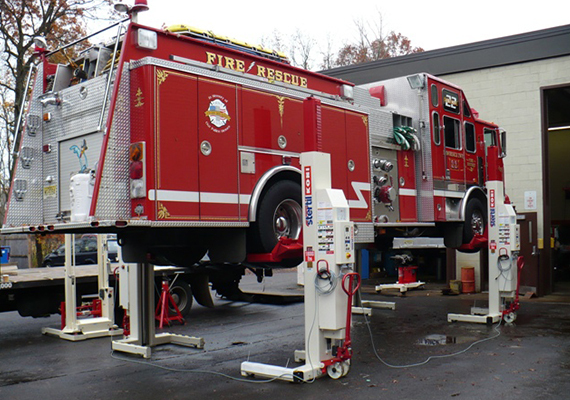 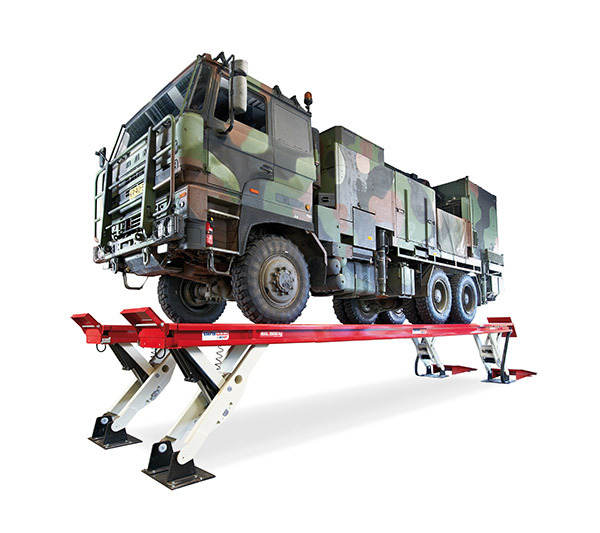 We have the widest range of vehicle lifts and heavy duty lifts in the industry including surface mounted, portable, and in-ground lifts. 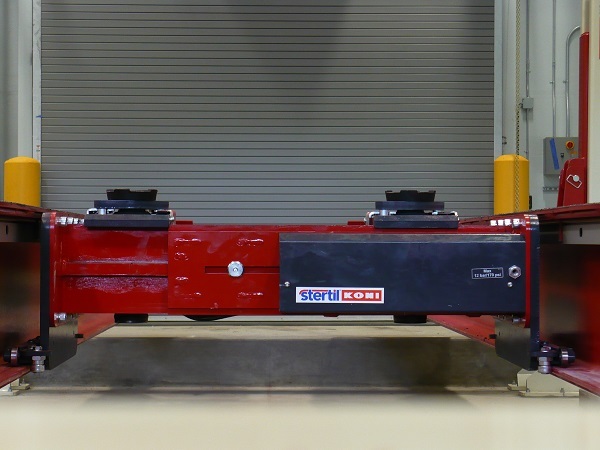 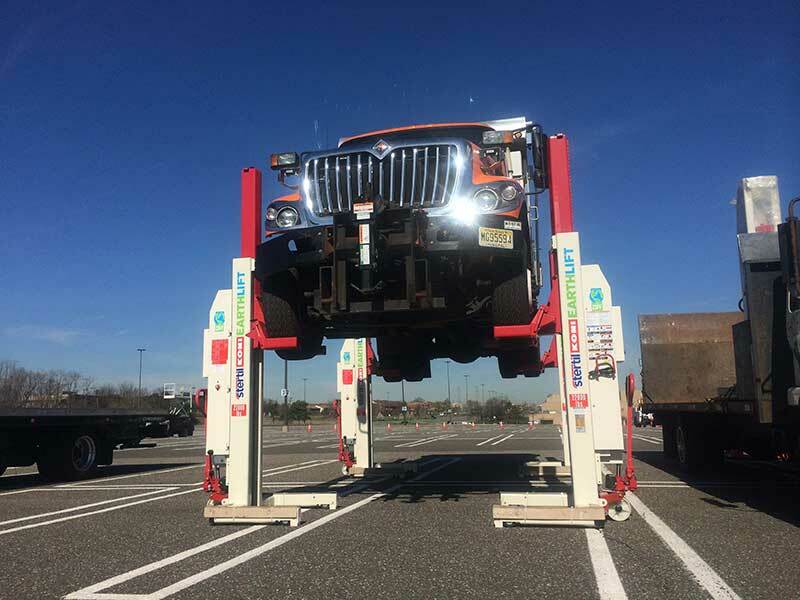 And we are proud to be the exclusive New Jersey distributor for Stertil-Koni and Omer, the world leaders in heavy duty lifts. 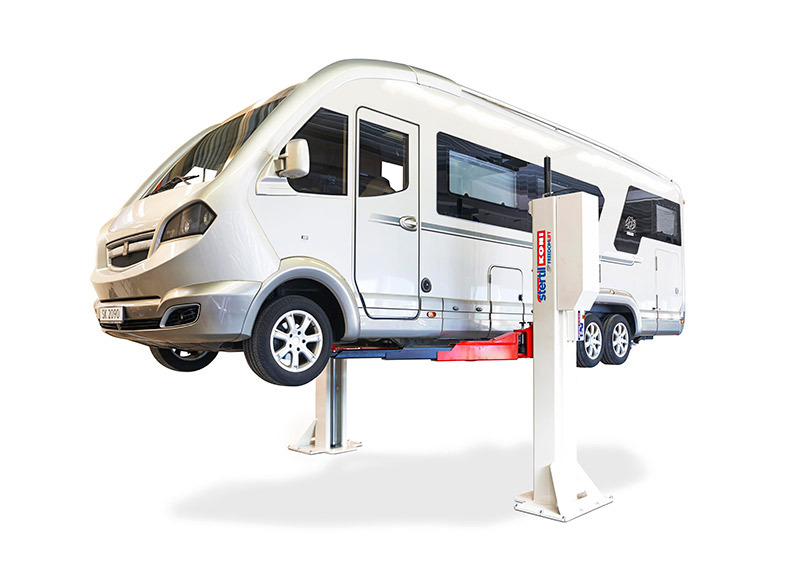 FREEDOM LIFT features an independent mechanical locking system which starts at just eight inches above floor level and continues up the entire height of the lift every 1 ¼ inches – providing the most mechanical locking positions in its category. 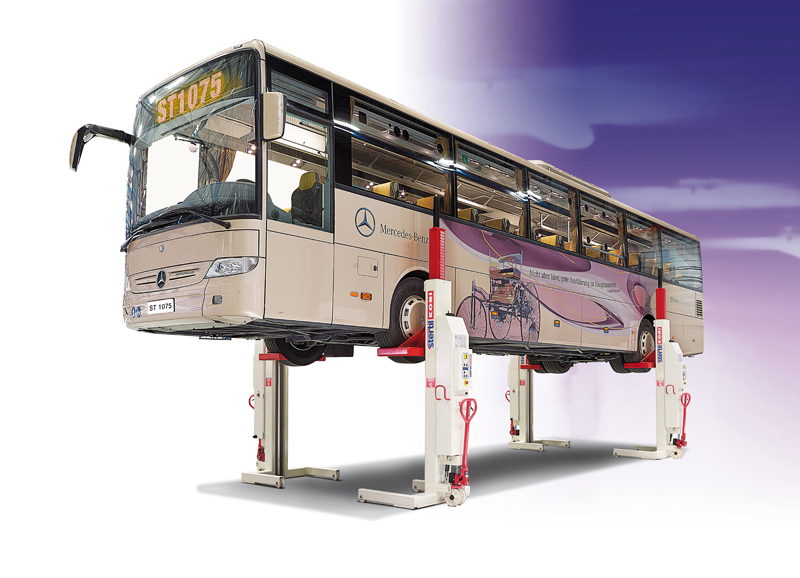 FREEDOM LIFT also delivers fast, smooth lifting, achieving a maximum height in just 58 seconds. 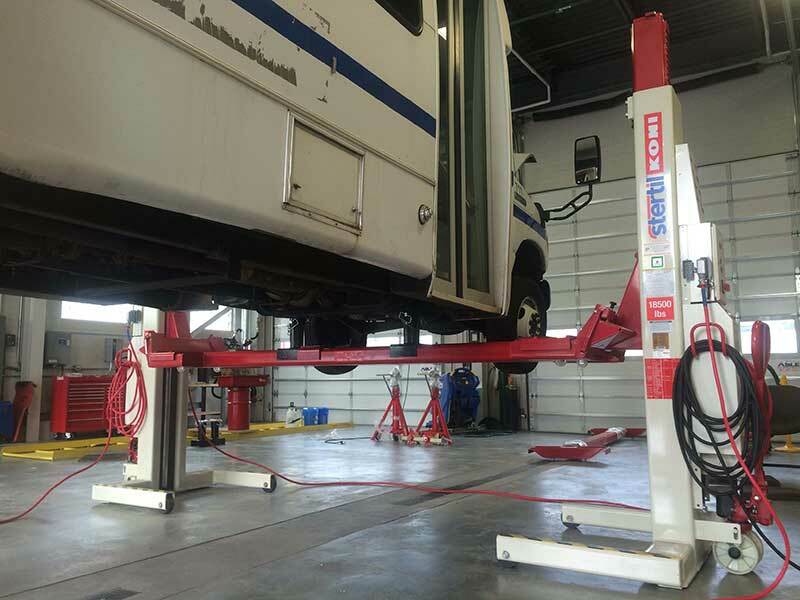 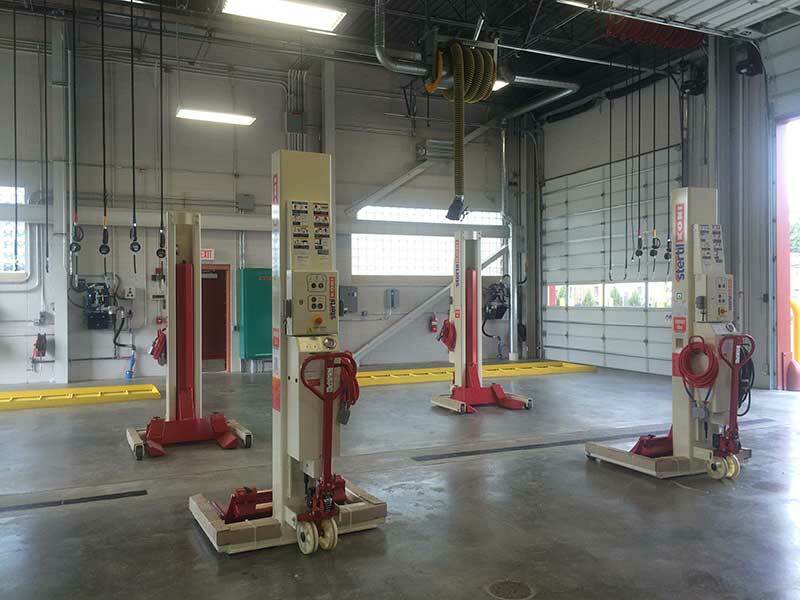 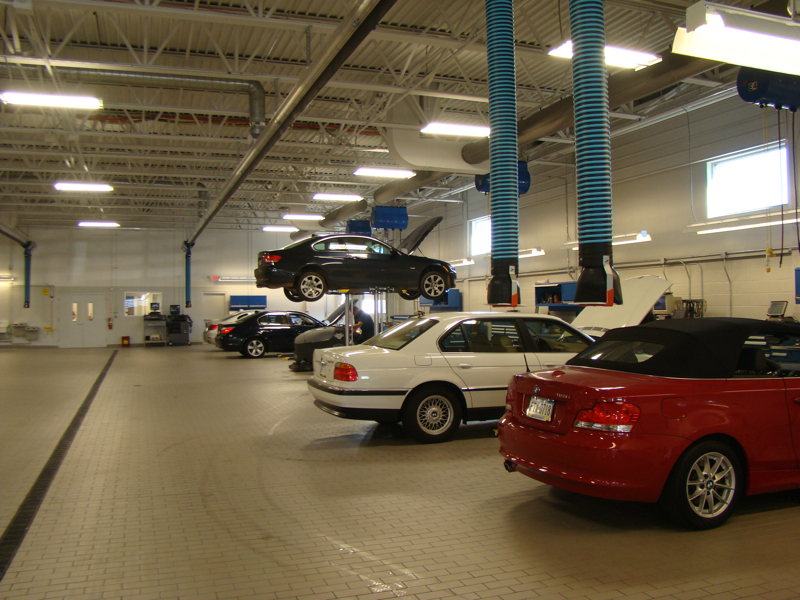 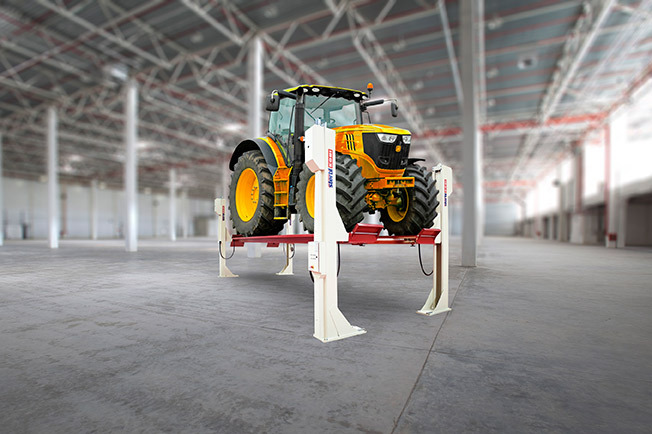 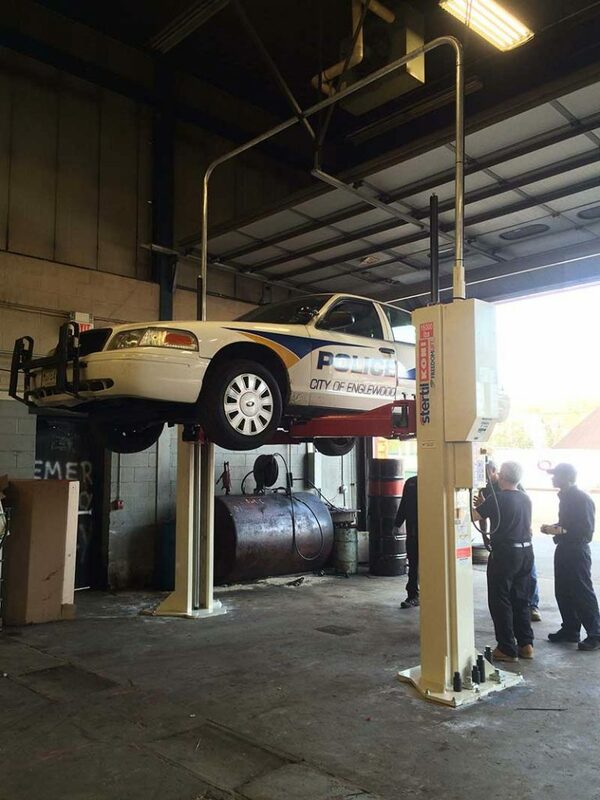 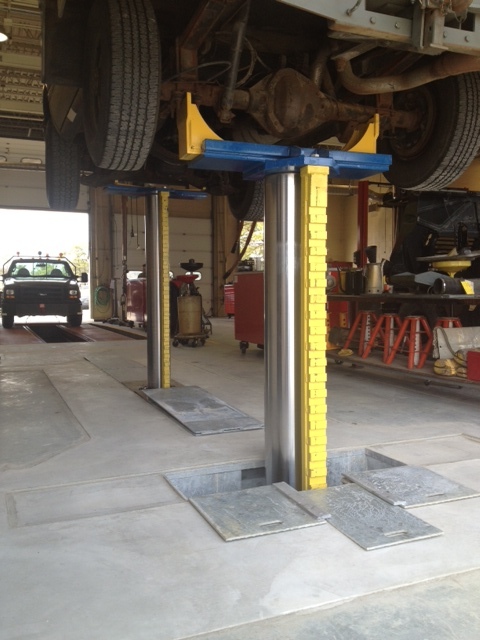 Mobile column lifts reduce hazards in the garage, and are height adjustable. 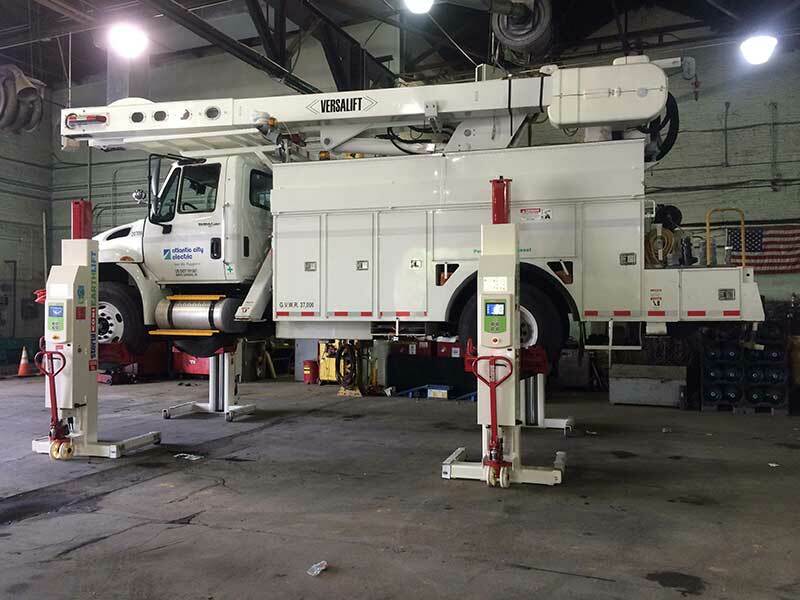 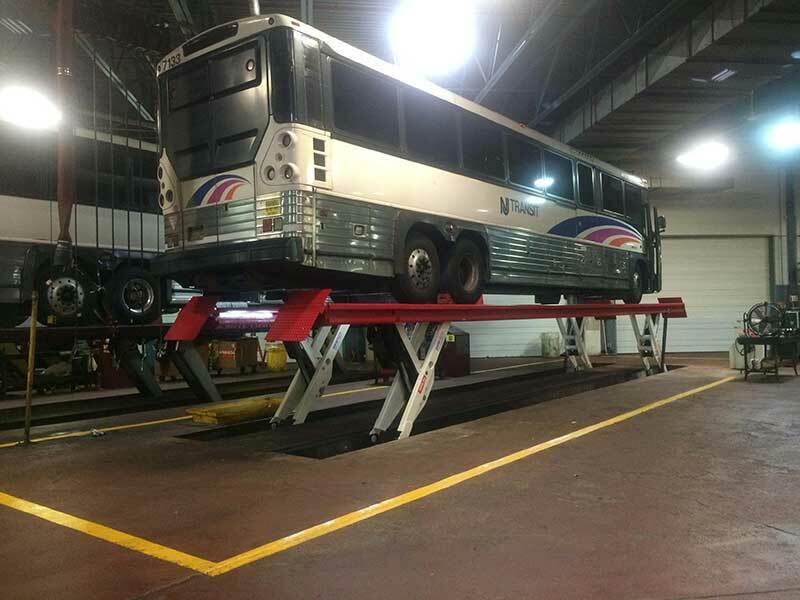 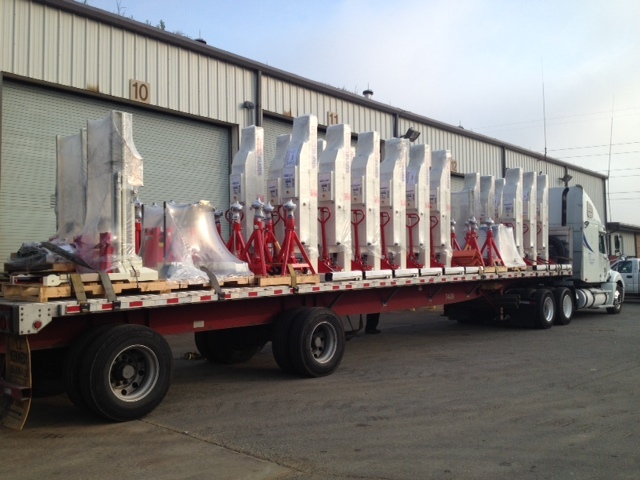 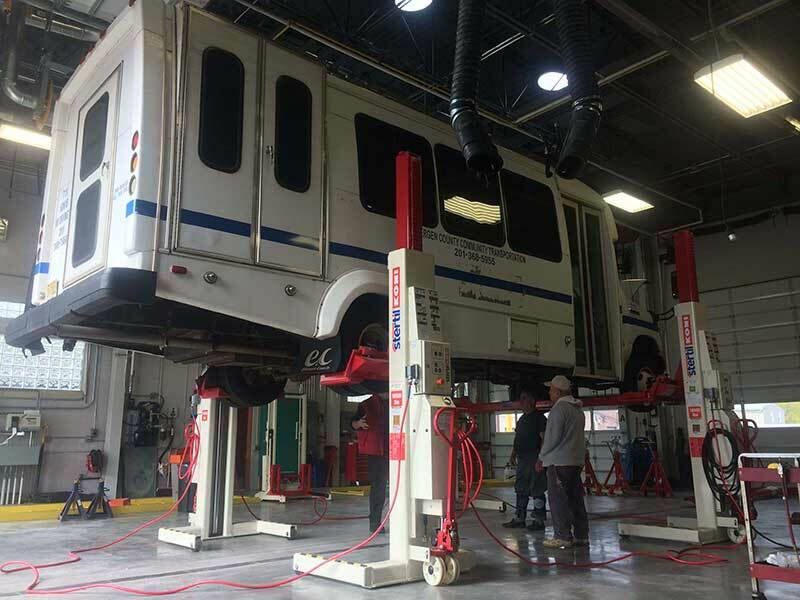 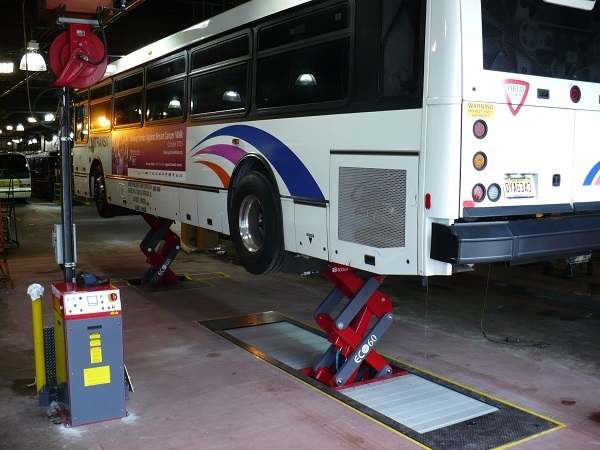 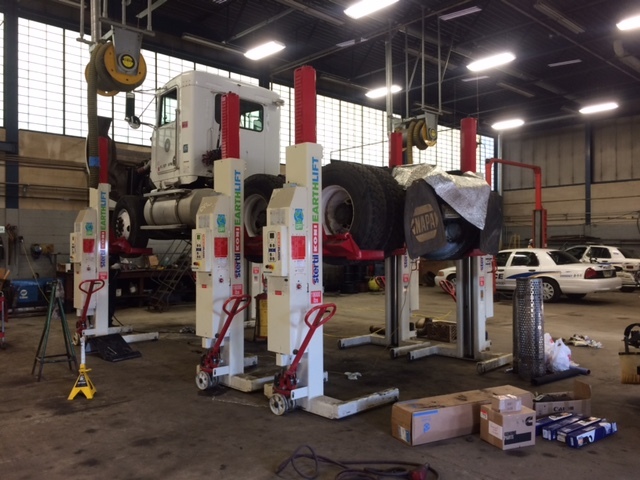 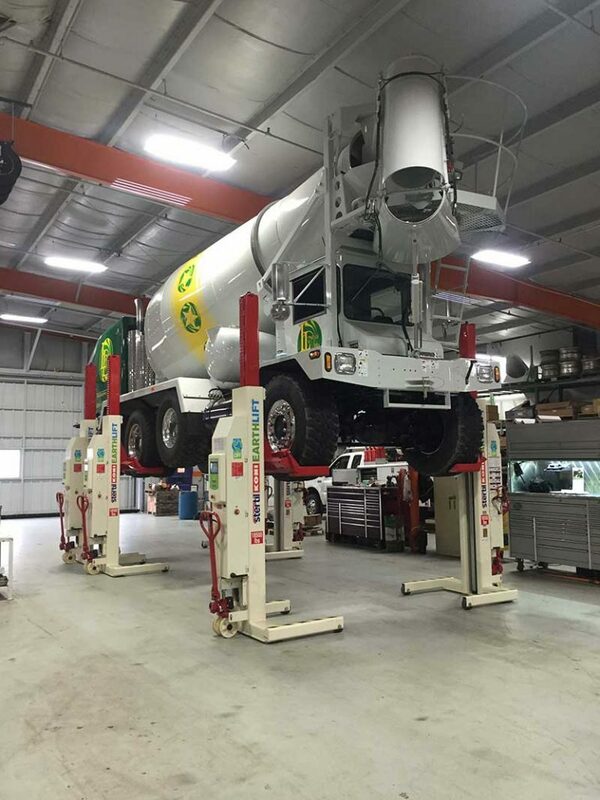 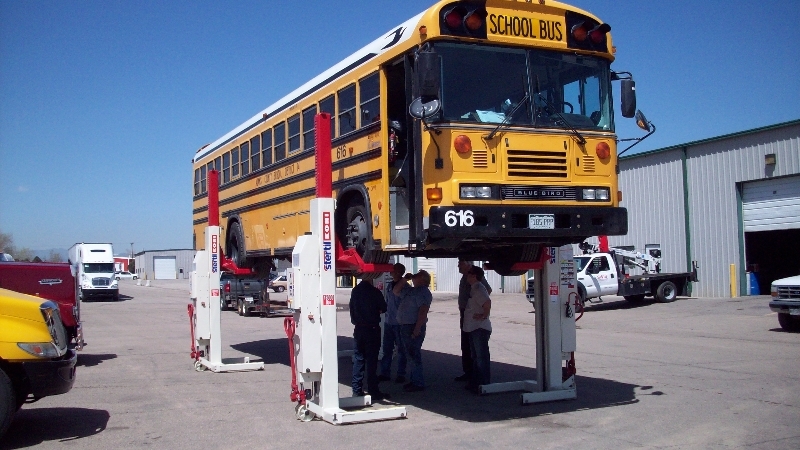 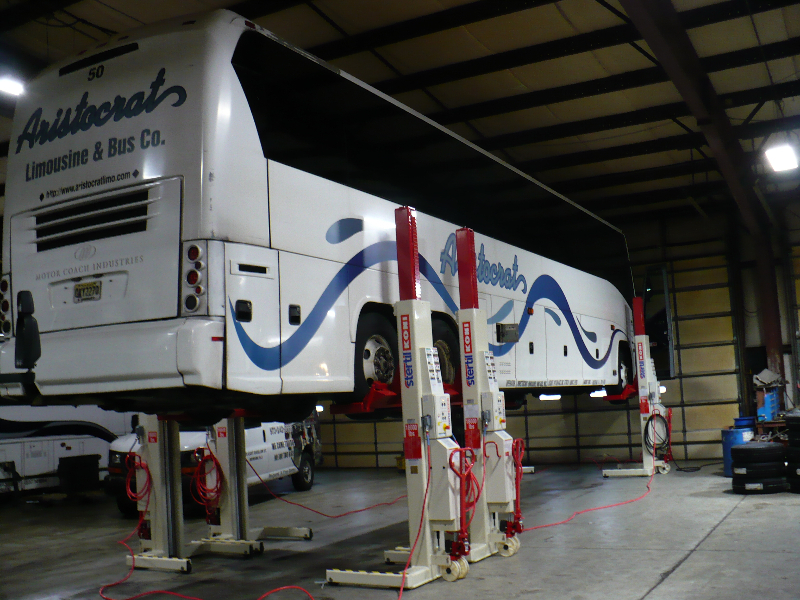 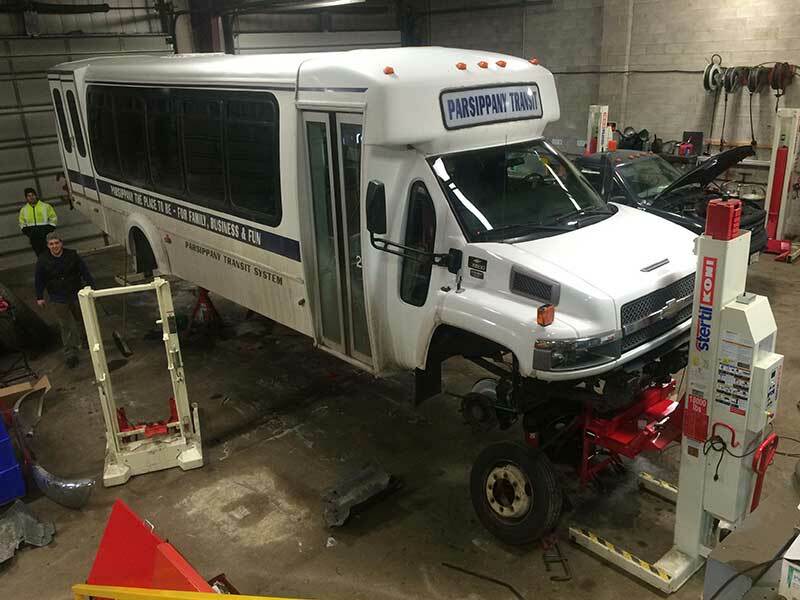 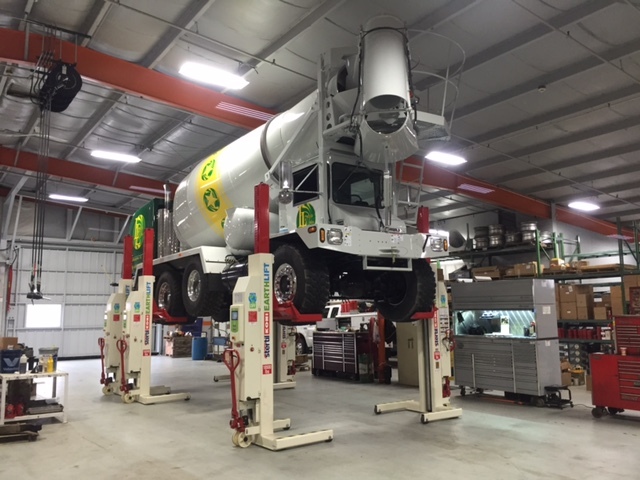 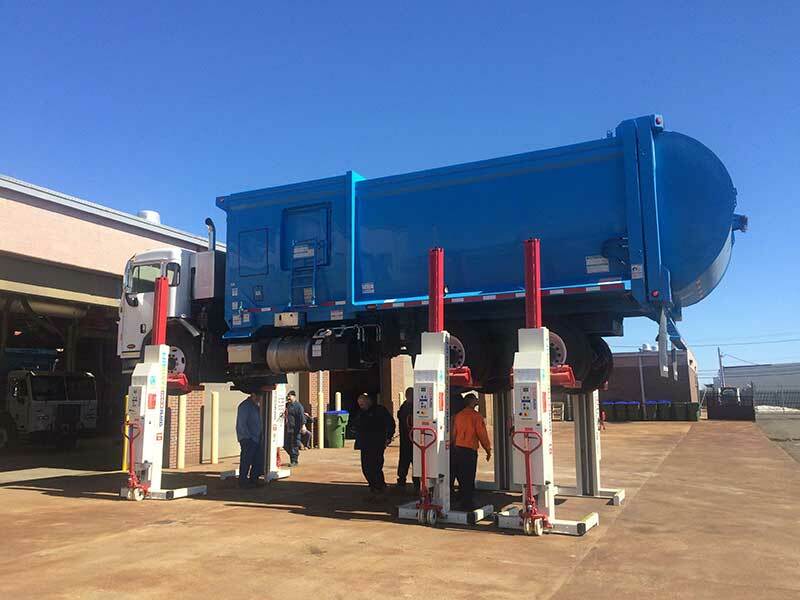 Hoffman Services carries mobile column lifts in a variety of weight capacities, to handle transit buses, waste haulers and public works facilities vehicles as well as extremely heavy specialty vehicles in the aircraft and ground support industry. 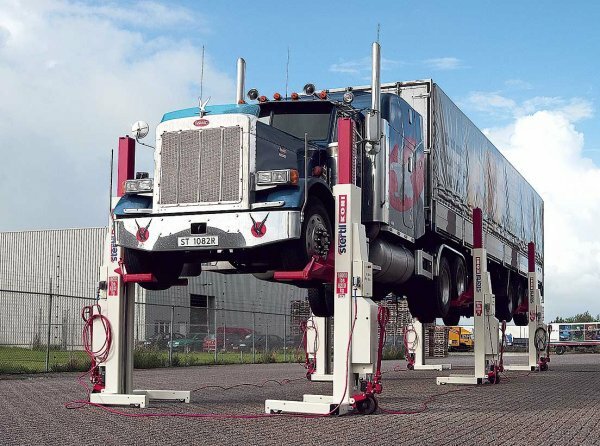 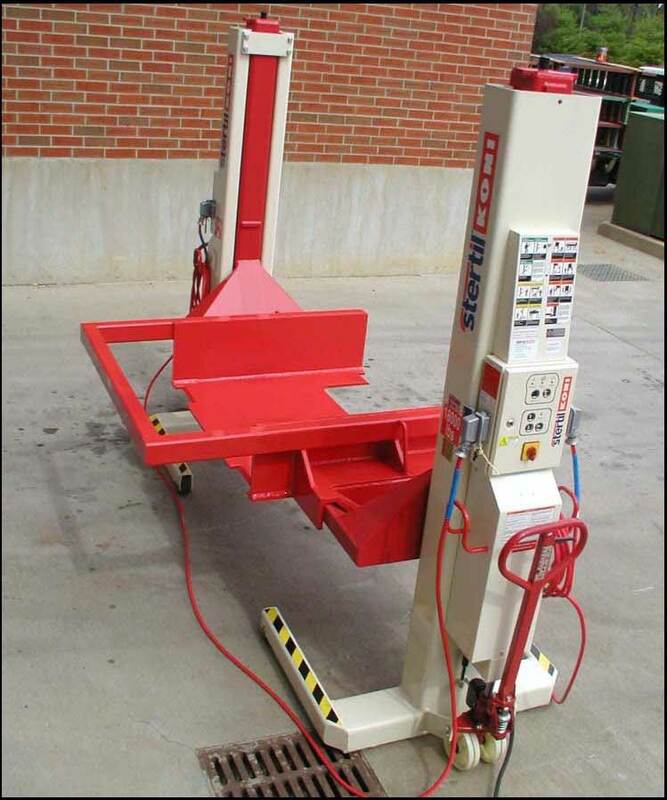 We carry drive-on heavy duty lifts from Stertil-Koni. 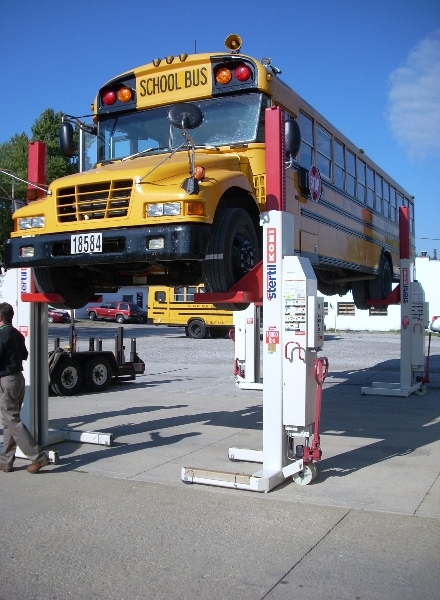 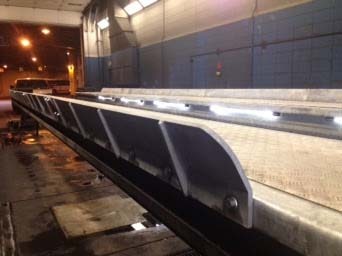 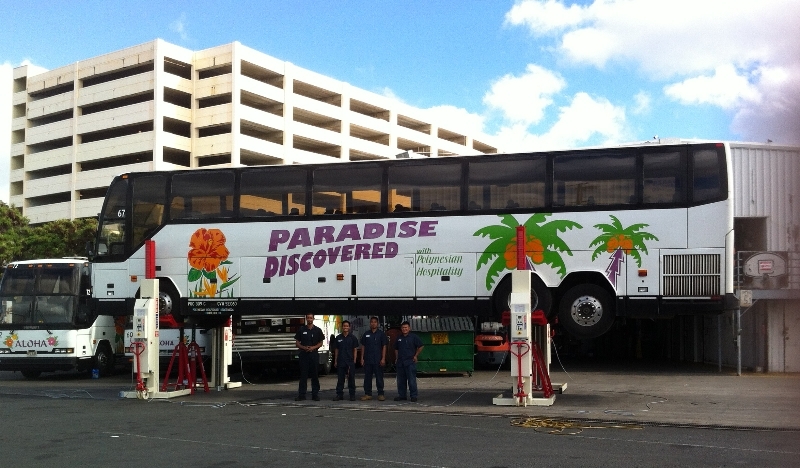 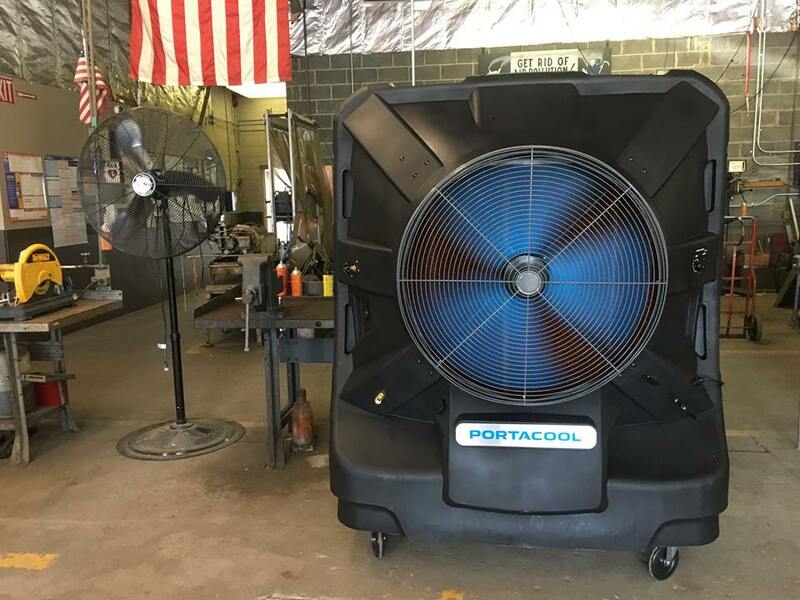 These are used mainly for Buses, heavy trucks, tractor trailers, public works facilities, and wash bays. 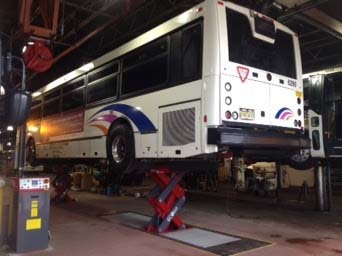 In the past, inground lifts had gotten a bad reputation for damaging the environment, putting oil into the ground when they leaked. 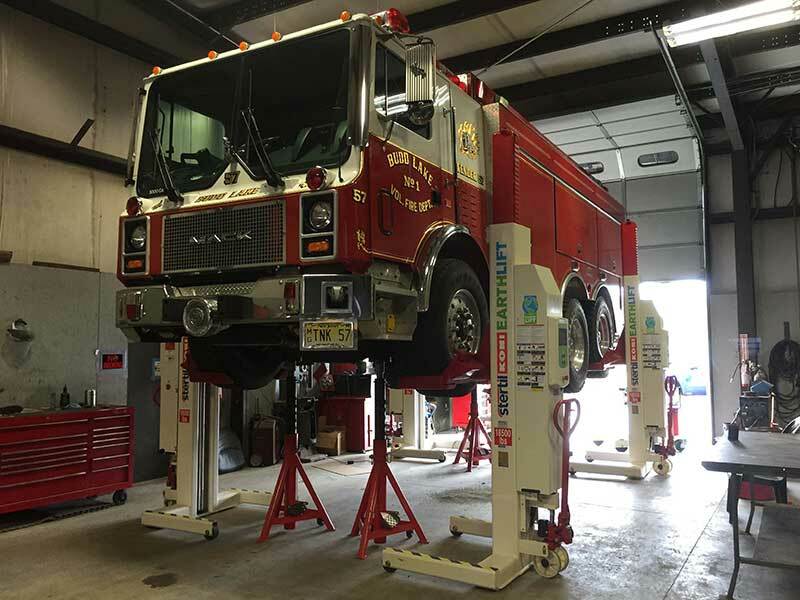 The new generation of heavy duty inground lifts use non-toxic hydraulics, can be installed in a much shallower pit, and don't require a concrete or steel vault to protect ground water. 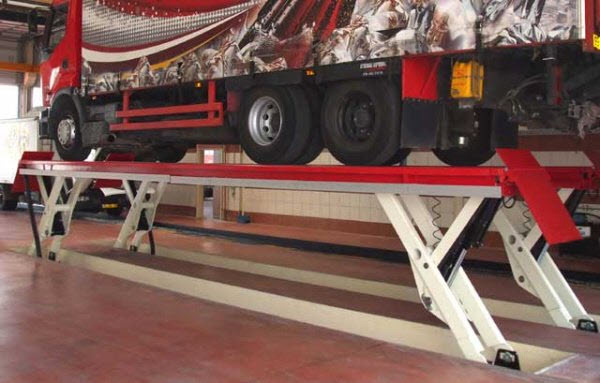 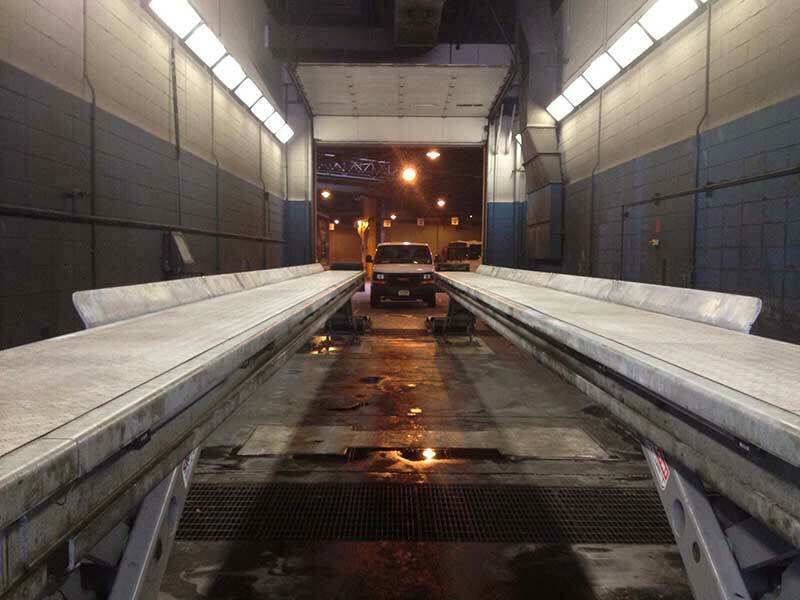 Our experts can install space saving inground lifts in your car dealership, public works facility or wash bays. 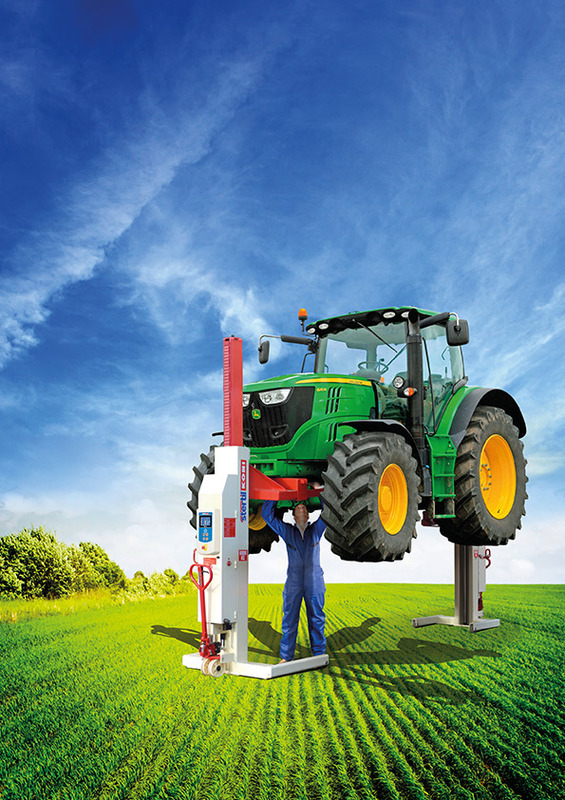 We also excel at servicing your heavy duty lifts regardless of who installed them. 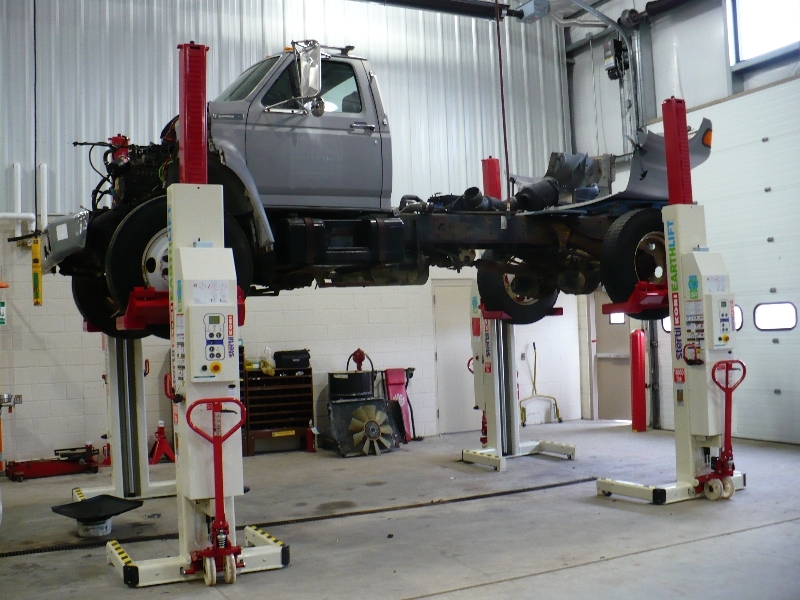 We offer repairs, maintenance, and trade ins for any make and model. 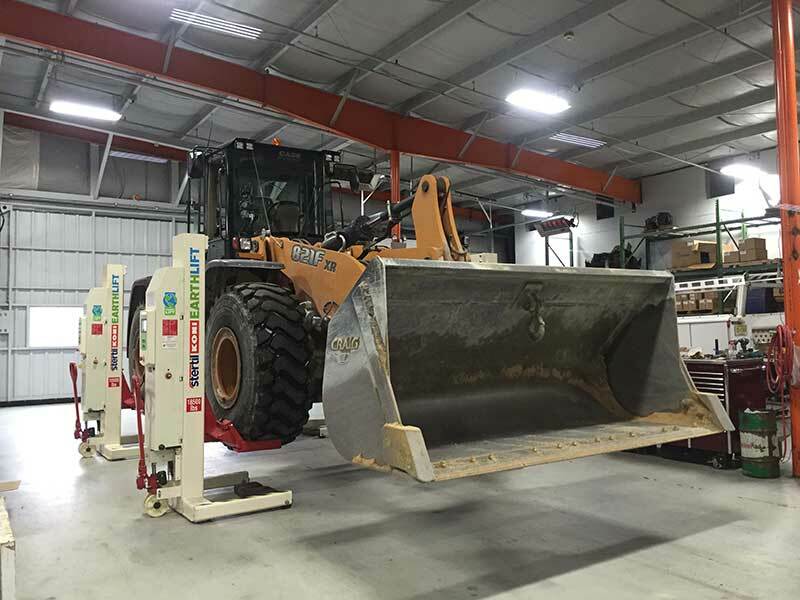 Your heavy duty lift equipment is an investment worth protecting. 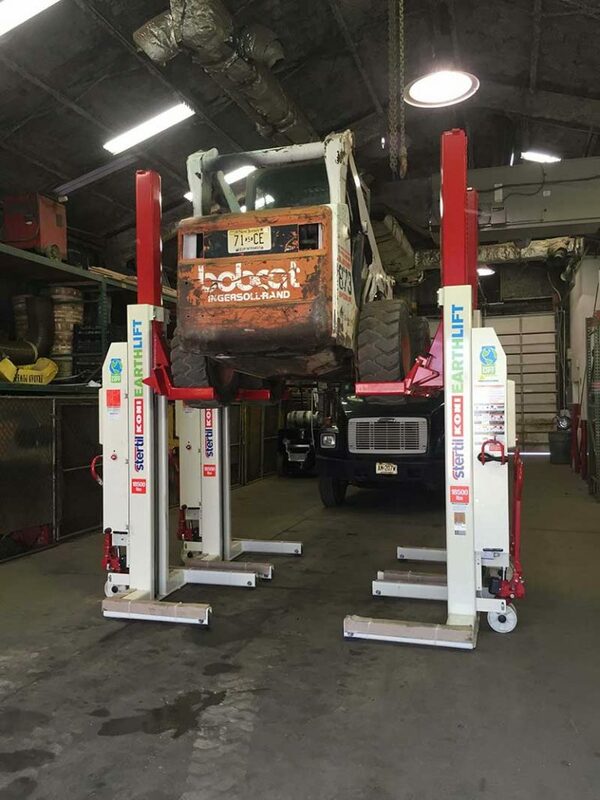 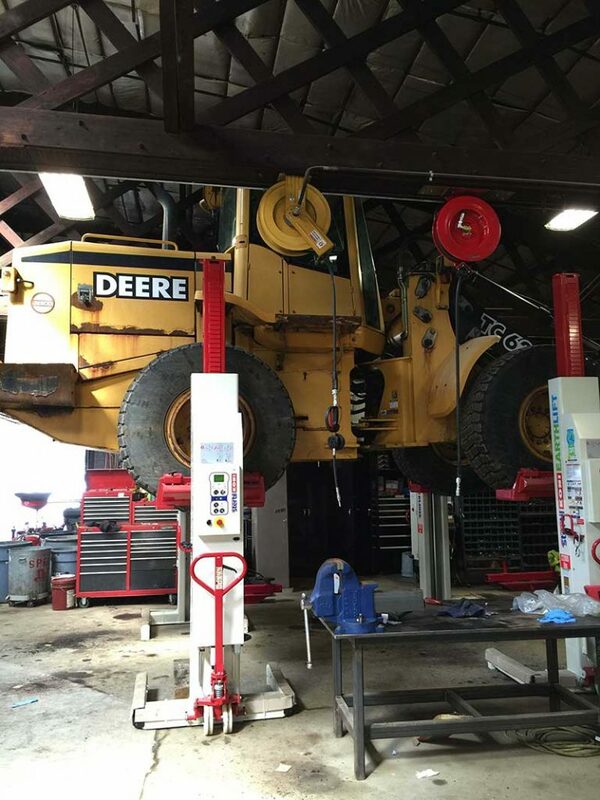 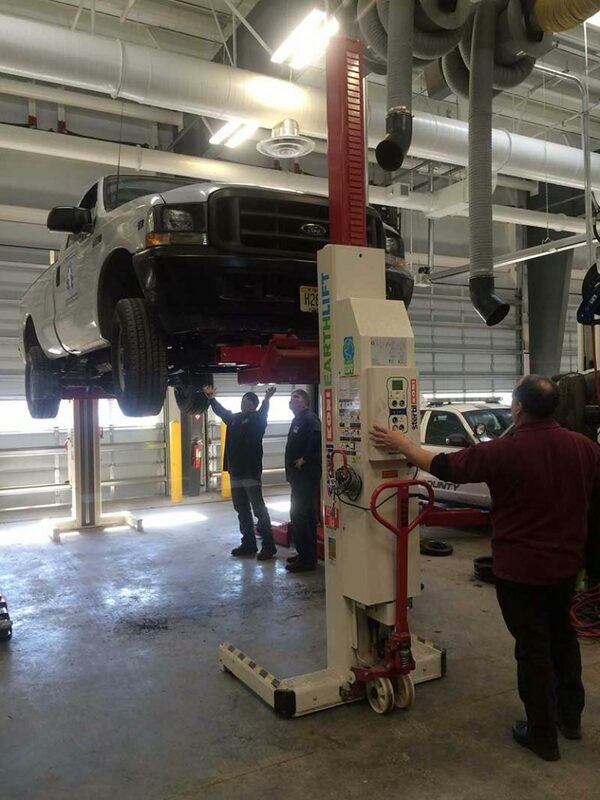 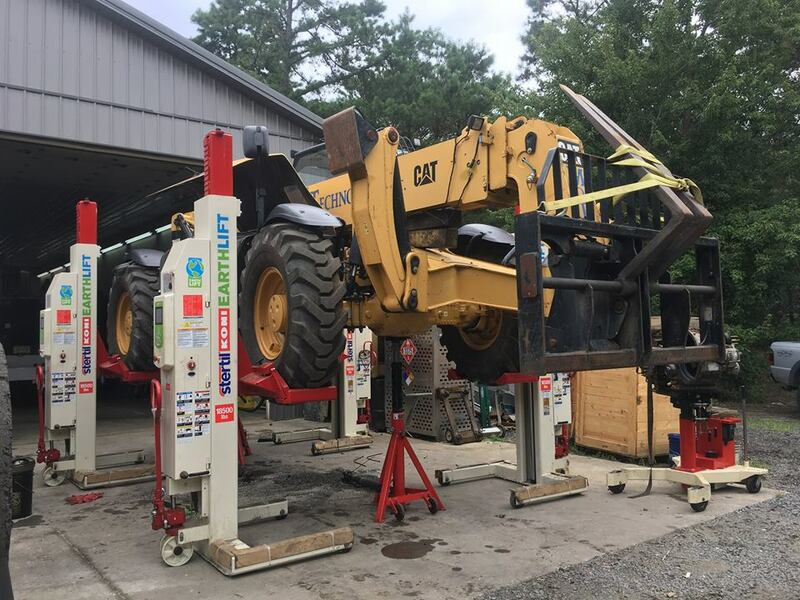 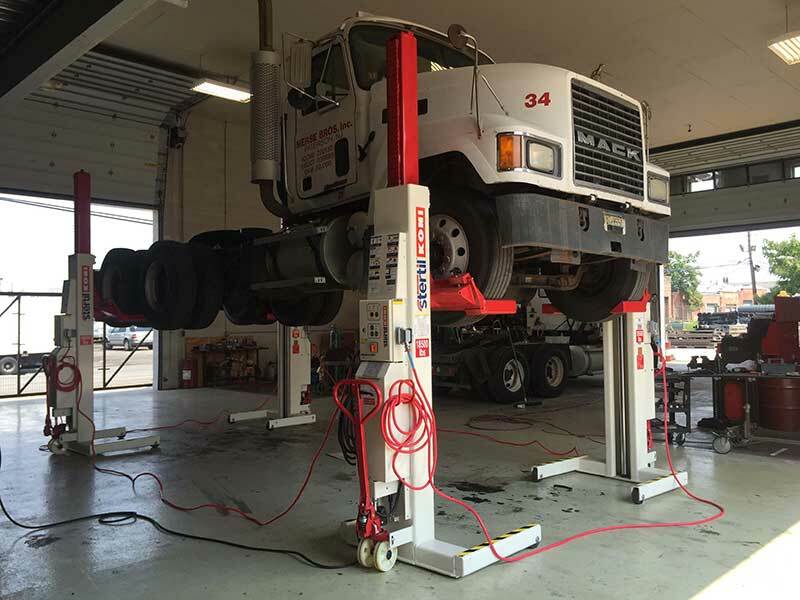 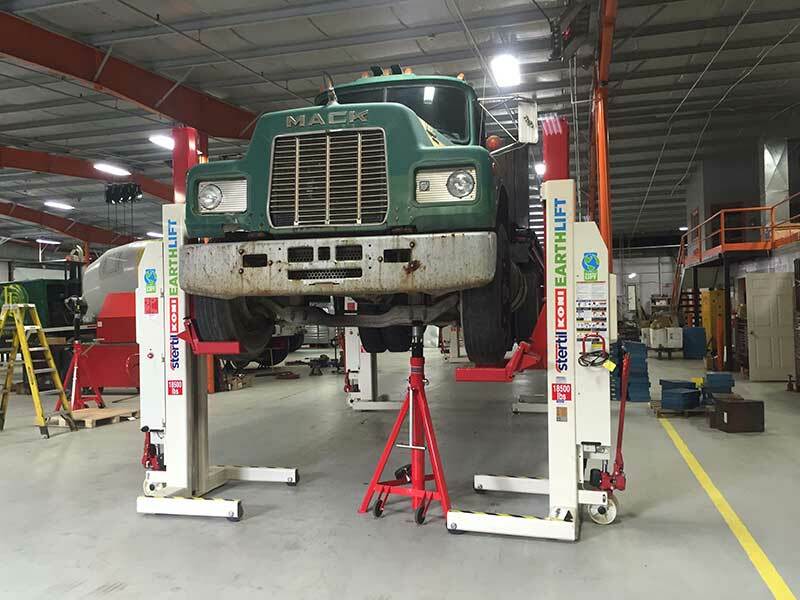 Our fully trained and accredited technicians, along with our extensive inventory of replacement parts and unsurpassed trouble shooting have made us the 'go to' company for heavy duty lift service. 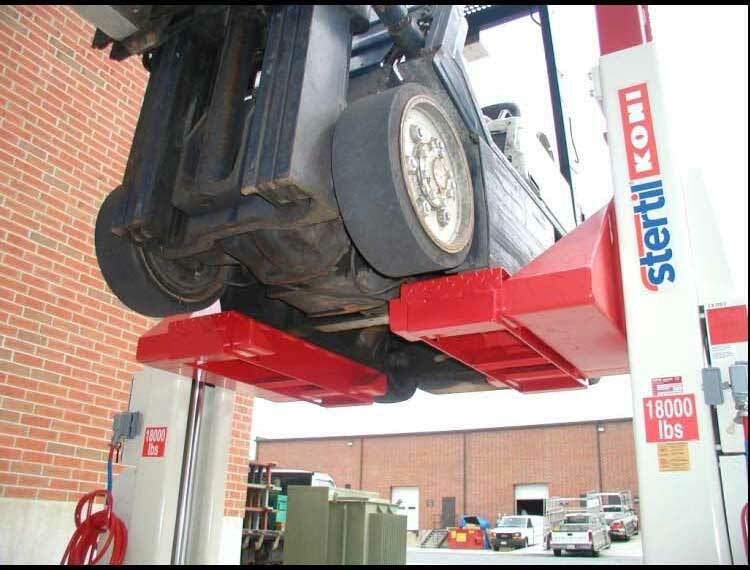 Hoffman Services is proud to distribute for Stertil- Koni, one of the world’s leading lift manufacturers and suppliers. 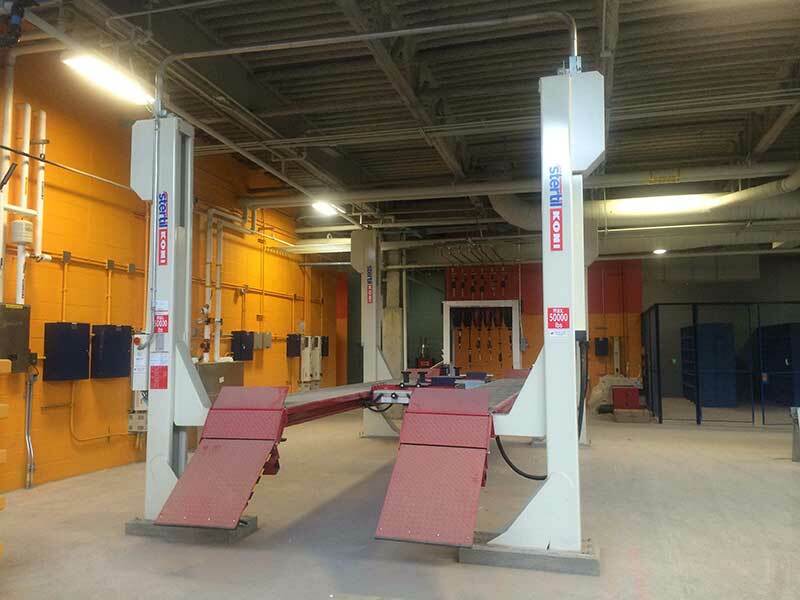 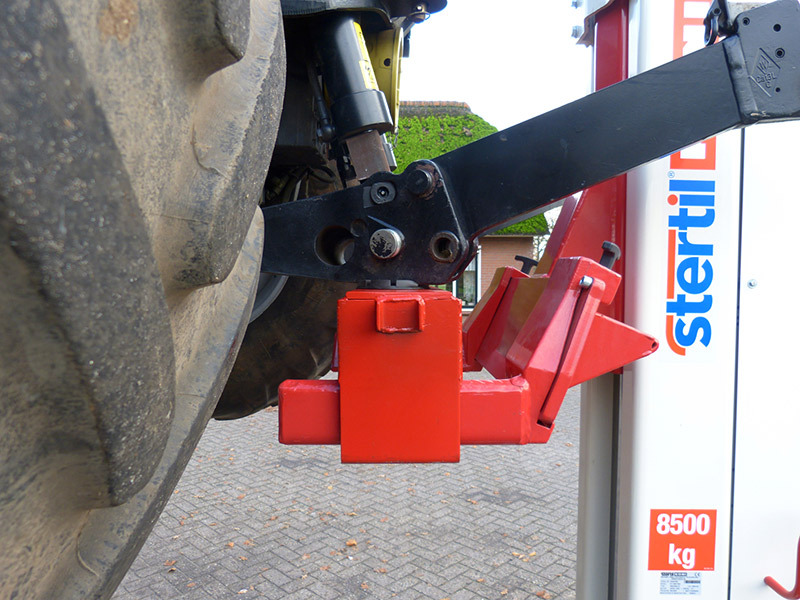 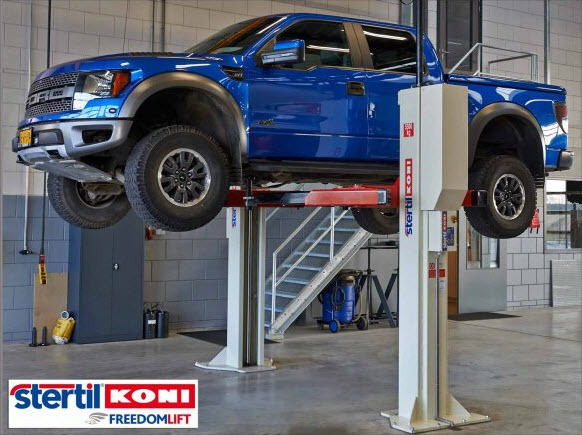 Stertil-Koni has an impressive and comprehensive range of lifts to suit a variety of situations including mobile lifts, wireless lifts, in-ground lifts, 4-post lifts, 2-post lifts and many accessories. 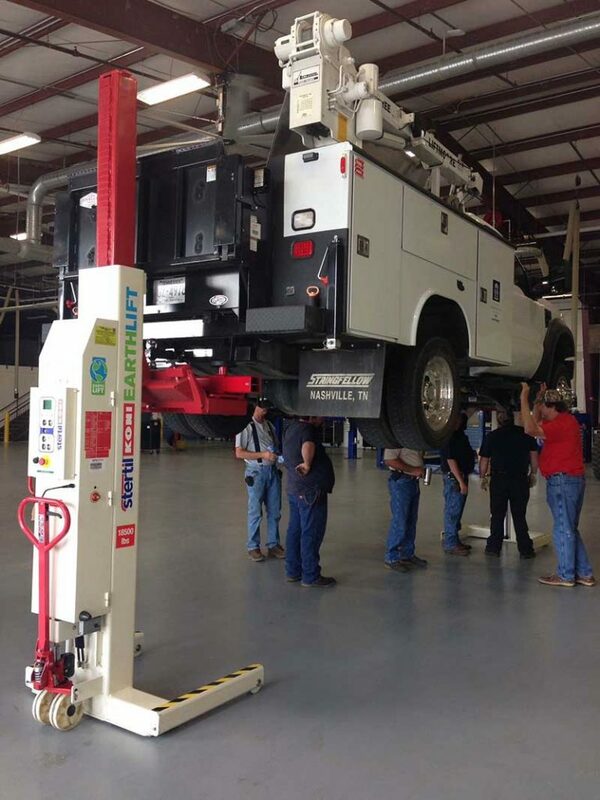 Find out how Hoffman Services can make sure your lifts are operating at their peak performance. 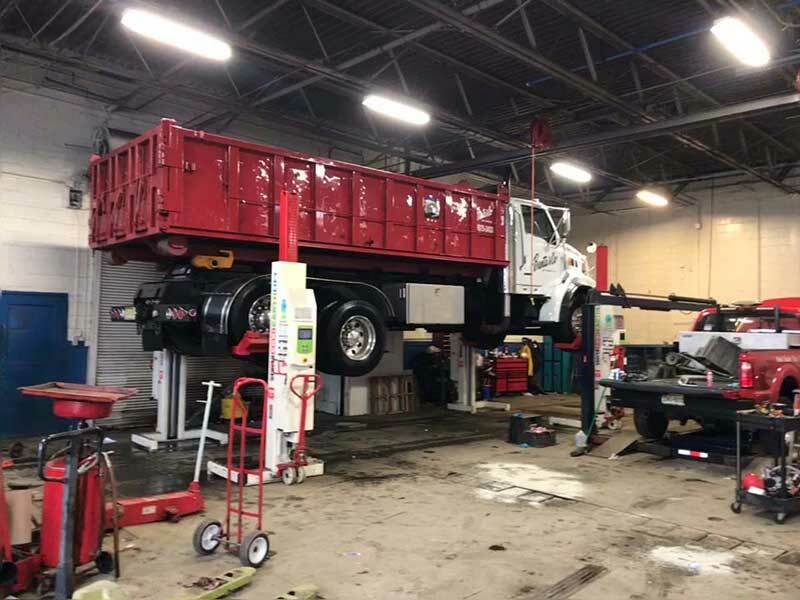 We’ve been in business since 1926. 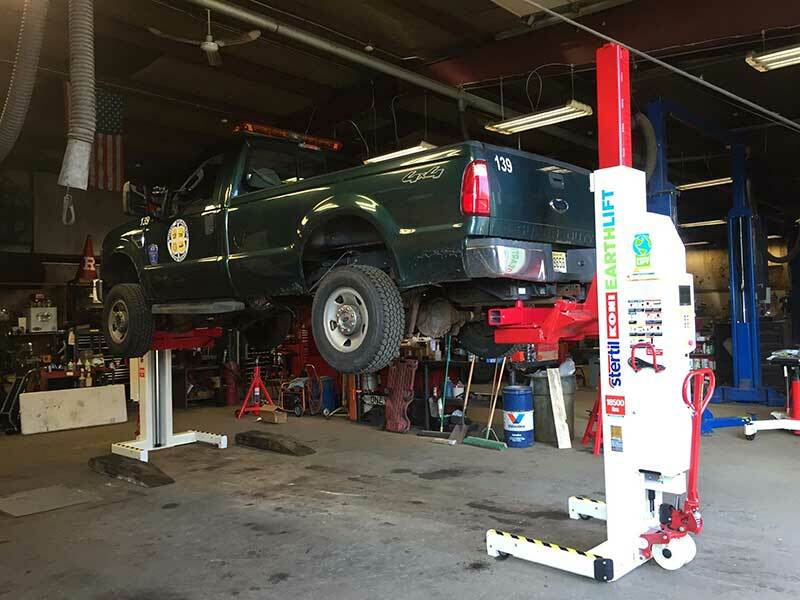 Our professionalism, integrity, and customer satisfaction have made our company one of the oldest automotive lift suppliers in the nation. 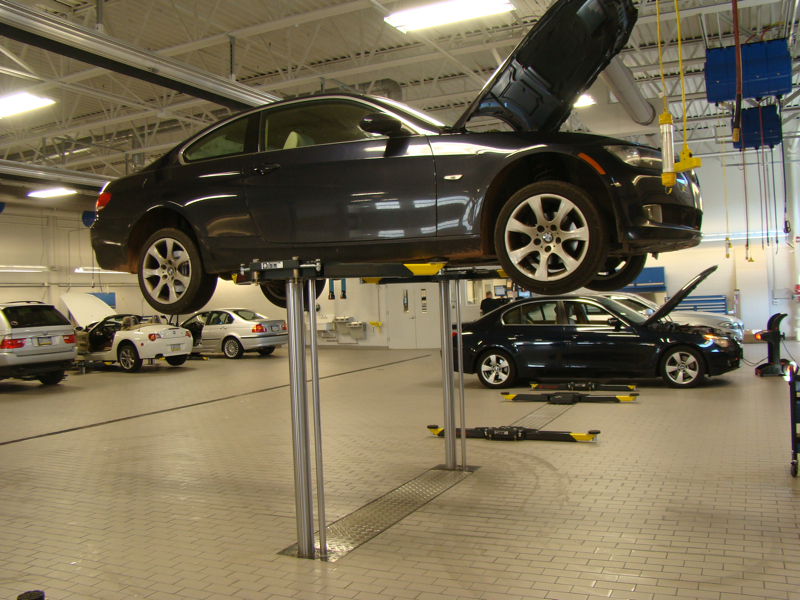 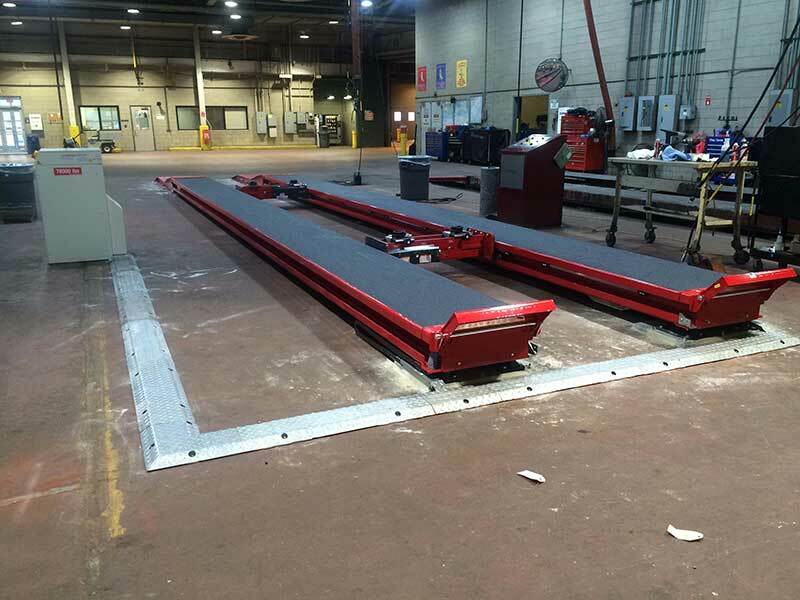 We’re also one of the largest automotive lift suppliers in North America.